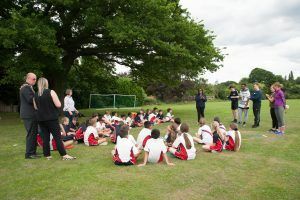 Highclare School chose a lovely July afternoon to celebrate the acquisition of it fourth site, Highclare Sports Field. 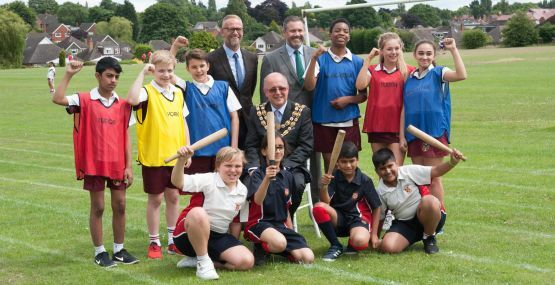 With the support of local guests, Councillors and the Mayor of Sutton Coldfield, Cllr David Pears, pupils engaged in an exciting inter-house competition in rounders, soft ball and Kwik Cricket. 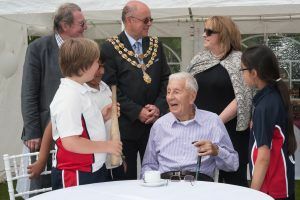 Other sports personalities supporting the afternoon included Sir Doug Ellis, President of Aston Villa F.C. 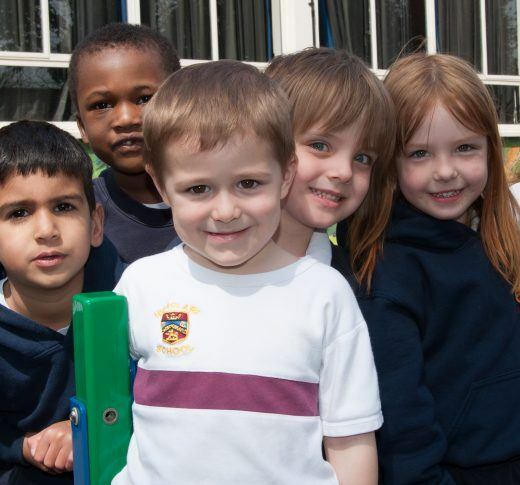 and Richard Sneekes, Highclare’s Sports Teacher and Manager for Sutton Town F.C. 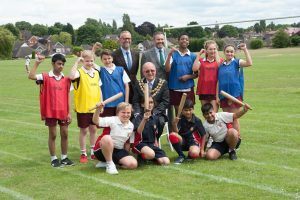 Highclare Sports Field, which is situated in Braemar Road, Boldmere, has become the school’s fourth site. 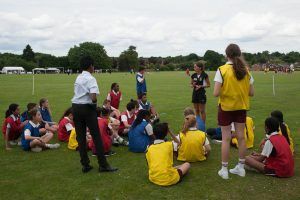 Its 9.25 acres is providing facilities for some new sports as well as the traditional football, rugby, netball and hockey. 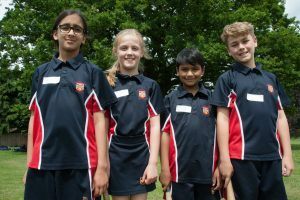 Together with the refurbished pavilion its acquisition is enhancing the sports facilities available to children throughout Highclare School.